YouTube is the largest online streaming service on the planet. You can find anything from music, tutorial to entertainment videos. But sometimes you just want to plug in your headphone ,start a YouTube playlist and try to beat your previous high score in Subway Surfer or Just want to listen to a music while performing some other tasks. Unfortunately, you can’t minimize official YouTube app without stopping its playback. Easiest way to do that is by purchasing YouTube red subscription, which will give you bonus features like the ability to download YouTube videos on smartphones, a subscription of Google play Music and in addition it’ll also get rid of YouTube ads. However, it is not available in many countries like India. 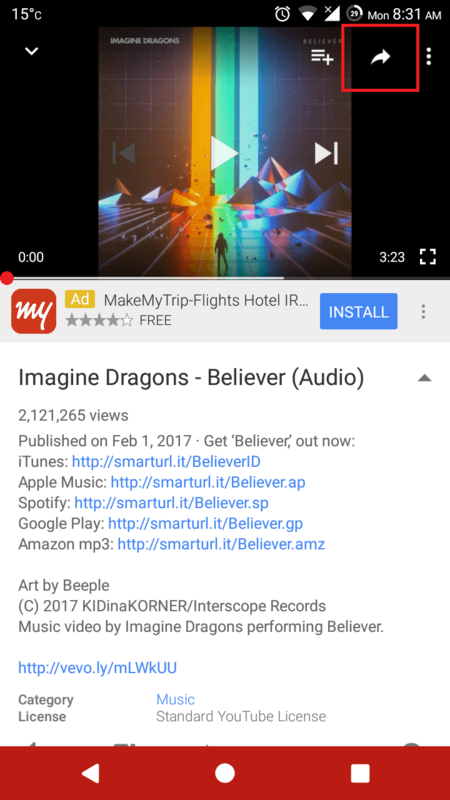 There are apps that acts as portals to YouTube’s contact that’ll allow you to minimize the app without stopping playback. 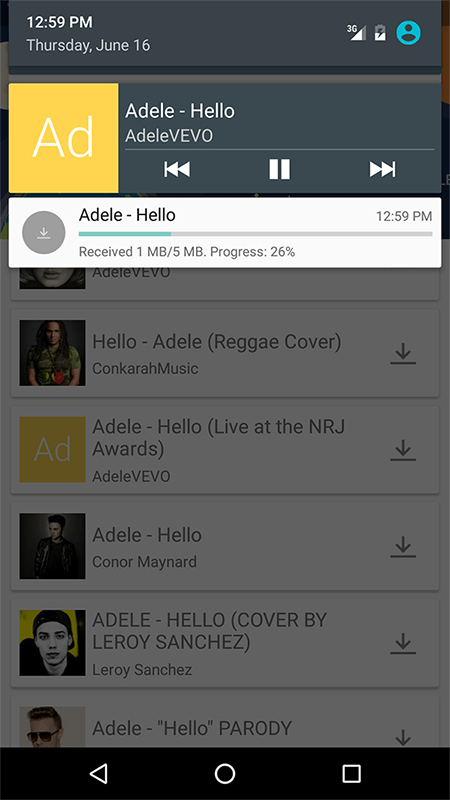 To use YouTube like music player you need to download the right Y Music App. It will allow you to play videos in background or even download the videos in any desired format like mp3,mp4,avi etc. Quick switch between YouTube app to play in background. Listen sound stream online from Youtube’s video in BACKGROUND. Save 90% bandwidth when load only sound stream. Quick download/listen directly in YouTube app and Web Browser..
DOWNLOAD Youtube’s video with multi resolution or just download as audio (mp3 320kbps/webm format). Play your audio/video file as sound. 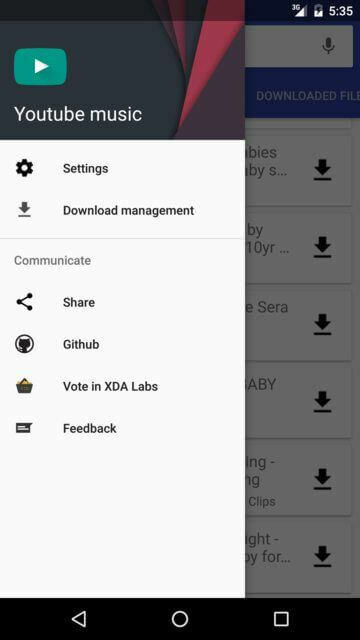 STEP 1: First you need to Download and install Y Music Application developed by Xda Developer’s Senior Member Khangneorip. 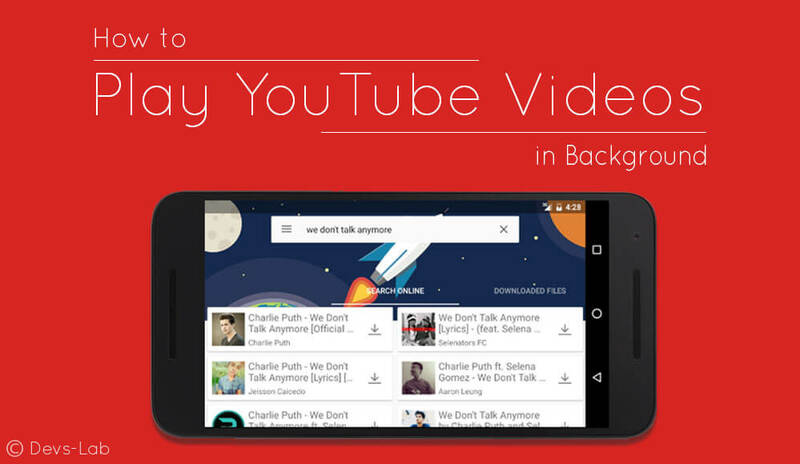 STEP 2: After installing the above app, open official YouTube app and start any video that you want to play in background. STEP 3: To play the video in background & just listen to the audio, Click on share button on the top right of the YouTube app. 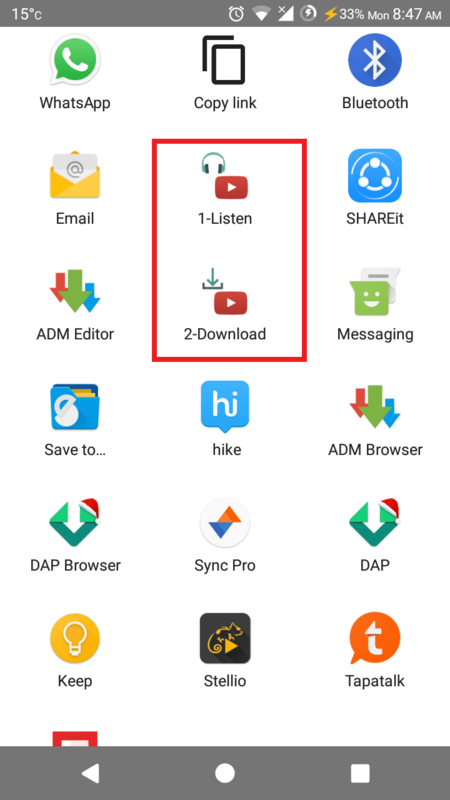 STEP 4: After clicking on share, you will see two new option listen and download. Select the option you want to use. As a result now, you can minimize the app and continue doing your work. To change the track, click on next button in notification bar. STEP 5: Now that you know the exact procedure, you would be able to play any YouTube videos in background. Furthermore you can also download them. 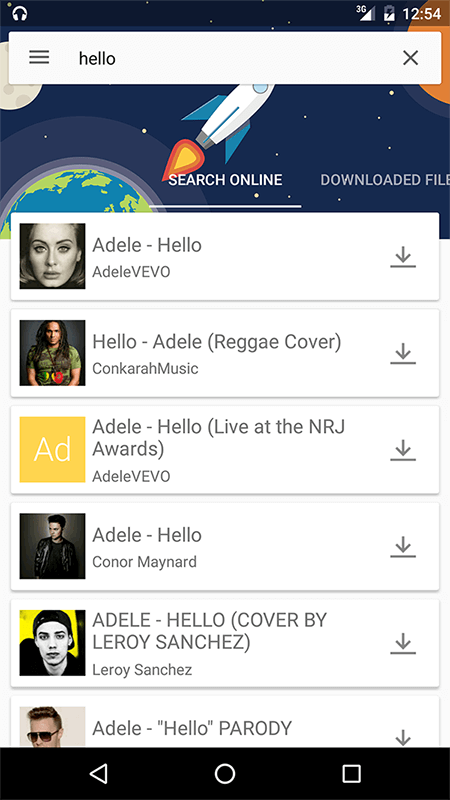 It is a very easy and quick way to use YouTube as music player. Most noteworthy advantage of this method as compared to other methods that you can don’t need to install any Xposed module or flash any zip file to trick the Official App. Most importantly, you don’t need to root your baby device if you don’t want to Root it.